Yesterday, roughly 24 hours ago, I launched an information product (that I didn’t write)and grew my Paypal account balance from $40.00 to $408.15. 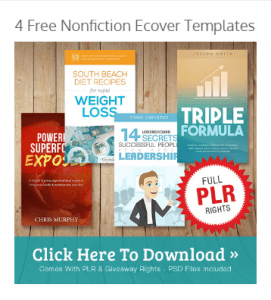 How did I do this without using Private Label Rights(PLR) or other pre-made info products? When I tell you, you’ll laugh at the simplicity. What I’ll cover in the next several posts, is the entire process I went through, from product inception, August 14, to product launch, yesterday, September 22. I have a rather small list of subscribers, less than 300 people. About 9 weeks ago, I sent out an email to my subscribers and asked if anyone had an idea for an information product. If so, would they like to partner with me to bring their idea into the world? One fellow raised his hand, replied to my email, and we began to private message through Facebook until we had an informal collaboration agreement to work on our new project. It’s as simple as that. I asked. Now, the fellow who answered, Dave Lynch, is someone I’d followed and admired on Facebook for over two years. I knew we were somewhat like-minded. I respected him. I felt inspired by him, at times. “Money loves speed!” reverberated in my head. I decided immediately that our partnership would be 50/50. Dave would author the product and I would do everything else. Note: This idea was flawed. You will soon know why as I share all in the upcoming posts. I had a main product idea, thanks to Dave. I had a writer installed to write the product, also Dave. This partnership, aka collaboration, was working out great! What Would I Bring to the Deal? I already had a terrific network of Make Money Online Kindle Niche affiliates with whom I had built relationships over the last two years. I would provide the promotional and marketing management aspects of launching our product. Then, I would also need to manage the affiliate requests coming in, distribute the launch details, coordinate review distribution, and review feedback from affiliates as it came in. It would be leaving money on the table if we launched this product with no upsell or one-time offer in place for our buyers. These types of offers are known as: a funnel. A “funnel” refers to the sequence of additional products offered to a prospect as they proceed through a buying process. For example, a simple funnel may include: initial purchase, upsell or one-time offer, and downsell. 1. Main product sales page purchase —-> 2. One-time offer upsell page purchase—-> 3. Second one-time offer up or downsell page. I’ve rec’d 2 support tickets asking what the OTO’s are. I consider that a good sign. I look forward to this series. So glad you two stepped out and got a product launched. Patti – it was truly meant to be and I’ll have more details about that (and proof!) coming up. Well done Barbara. That is what I call taking action. Just goes to show what us “mere mortals” can accomplish in the world of the “Internet Giants”. Looking forward to the rest of the story. Kevin Everett recently posted…IS PAID TRAFFIC OR FREE TRAFFIC BEST? Hope you will have much success with your product. Barbara, thank you for sharing your experience with us. I am sure there will be much for us to learn from your journey. Roy Miller recently posted…What Is Periscope? You’ve really sucked me in! I can’t wait for the next instalment. I want to start producing some products to sell but I’m not sure how to get going. The way you talk us through the process of developing your product and how you will promote it has really brought it all to life for me. Look forward to hearing about the funnel. Well done – I like how you simply just asked your email list if they had a product idea and if yes, whether they would like to partner on this. Sometimes amazing things do happen when we simply just ask. I am looking forward to reading part 2 of your exciting story in next weeks blog post. Nice going. I’m looking forward to having my next product ready, but more to the point, this one will have a considered advertising plan behind it, not just a ‘put it out there and hope’ – which is doomed to failure almost every time!. So looking forward to episode 2 which I hope is not too far off. Im impressed, people usually under-estimate their list and are too afraid to ask their list, By you asking shows that things can be done.